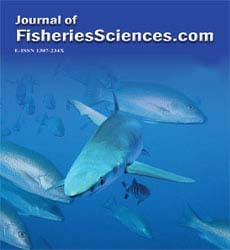 This study was carried out between July 2005 and June 2006 in order to determine the fish fauna of Kınacık Brook and Afrin Stream. In this study, 7 species, Leuciscus lepidus (Heckel, 1843); Capoeta barroisi (Lortet, 1894); Capoeta damascina (Valenciennes, 1842); Garra rufa (Heckel, 1843); Barbus pectoralis Heckel, 1843; Pseudophoxinus kervillei (Pellegrin, 1911); Alburnoides bipunctatus (Bloch, 1872) belong to Cyprinidae and 5 species, Barbatula panthera (Heckel, 1843); Paracobitis tigris (Heckel, 1843); Paracobitis malapterura (Valenciennes, 1846); Oxynoemacheilus samantica (Banerescu and Nalbant, 1968) and Oxynoemacheilus argyrogramma (Heckel, 1846) belong to Balitoridae were identified. The systematic characteristics of fish species were explained. These characteristics were compared with in previous studies.